If you have a dog that’s a fan of a ball, sure you will get tired of playing fetch before him. So, the effective solution for this is using an automatic ball thrower. These products allow you to adjust to for a lot of distance and speeds. Furthermore, you can also train your dog to operate the automatic ball thrower himself. This is a good choice for those who can’t throw the ball for their dogs because of a physical impairment. 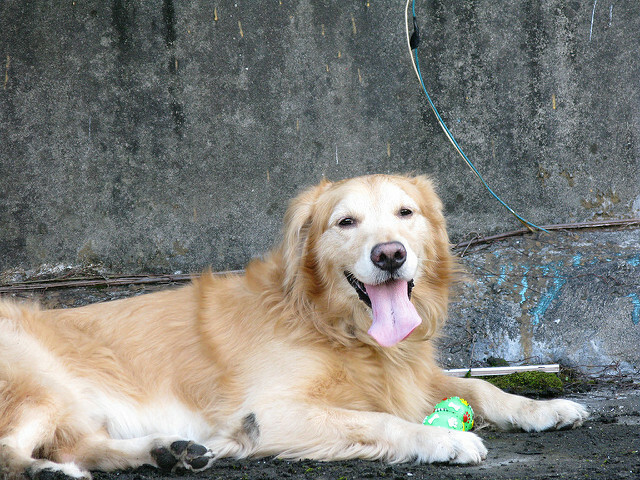 By using an automatic ball thrower, you can relax while your dog still can get a lot of exercises. 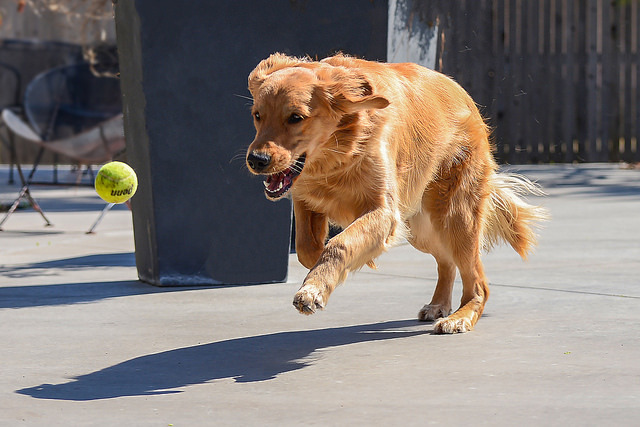 Keep reading this article to learn how to train a dog to use automatic ball throwers. A crazy ball dog will actually be highly motivated to learn how to use automatic ball throwers. For a nervous, anxious, and inexperienced dogs, they have to take more time to learn how to use automatic ball throwers. You can adjust automatic ball throwers for speed, time, pitch, as well as distances you want. In fact, these machines can make some noise. You have to make your dog get used to the machine. Next, it’s time to show him where he should stand when the thrower launches. It’s best to keep your dog a few feet away to pick up the ball. If you want your dog to operate the launcher himself, you should release the ball into the receptacle of the machine. Look for a commercially automatic ball thrower for your dog. It has to offer the features you need. Nowadays, there are many options that allow you to adjust for the number of balls. You can throw the balls before timing, reloading, height, speed, and distance as well. Make sure you choose a thrower with the right setting for your space. The first important step to do is to read all instructions so that you and your dog are ensured to be safe when playing fetch. Most throwers come with safety features. If you want to use the launcher, prioritize to train your pet to play fetch as well as to release the ball to you. It’s important to find a safe space in order to operate the launcher. To acclimatize your dog to the automatic machine, it’s a good idea to use treats and a clicker. For this step, you need to prepare the automatic ball thrower. Also, don’t forget to prepare treats and a clicker. You need to set up the automatic ball thrower for the next step. However, it must be ensured to be turned off. Once your dog can bring the object you toss, praise him with treats. This way is to create a positive association. It’s essential to place the machine farther away from your furry friend. Then, turn it on. Once the ball thrower makes a warning tone, it’s time to click and say “yes”. As long as your dog feel comfortable with the sound of the automatic ball thrower, you can ask him to come next to the thrower. Then, click to reinforce. Let him go retrieve the ball when it launches. When he returns to you with the ball treat, he will give you the ball to get the treat. Use a click to reinforce. Also, say “drop it” as a command to ask him to drop the ball. Remember that you need to reduce the use of the treat. The reason is that your dog can be familiar with reinforcing by the chance to fetch. It’s best to keep your dog far several feet away in front of the machine. Next, turn it on and launch a ball. When you play fetch with your dog, it’s essential to go to him. Then, ask him to drop the ball. Repeat this many times until he can be connected the machine with a new fun game. Your dog needs to sit closer to the side of the thrower. Not ask him to sit in front of where the ball can give him a hit. Launch and go on the game. Then, ask your dog to return to the machine and pick it up for you. Move him gradually so that he’s closer the launcher for the right place. When you toss the ball, he needs to go run and drop the ball for you. Continue the game. If you want to train your dog to drop the ball for you, you need to hold your hand over the bucket. Then, remember to say “drop it” as your command. Direct him to drop the ball into the bucket. Once it reloaded, continue your fetching game. Turn off the ball thrower. Then, stand near the unit. Throw the ball for your furry friend to fetch. Keep the launcher turned off. Then, drop the ball in the machine. Take it out of the machine manually. Then, toss it for your dog to fetch. There are some verbal commands you need when training your dog to use the automatic ball launchers like “drop it”. You can say that when putting the ball in the bucket. This way is perfect to make an association with the ball replaced in the launcher. Turn on the launcher. Use one ball for the starting. Keep your dog sit next to the launcher, not in front of the machine. When you toss the ball, say “fetch” as a command for your dog. Once your dog drops the ball, ask him to come back near the launcher and release to you. Then, provide him treats. In fact, training a dog to fetch is an ideal method to build a bond with him. Also, this way is a great choice to release pent-up energy. If you have a sporting dog, you can teach your dog to fetch. Then, he can help you to perform certain tasks. It’s not too hard to learn how to train your dog to fetch. Let’s take a look at this article to learn how to train your dog to fetch using rewards. In order to train your dog to fetch, you need to give him a bit from other commands. Indeed, your dog needs to know how to follow a thrown item, and then use his mouth to pick it up. One of the best methods for this task is a method called back chaining. You can teach your pet by giving him a fetch toy, dummy, or ball. Teach him to take it by wriggling it around. Once your dog gets the fetching item, immediately praise as well as treat the moment your dog. It’s best to repeat this several times. Once again, praise him when he drops the item in your hands. If possible, you should entice your furry friend to pick up the fetching item again. Continue playing the game by repeating the above steps several times. For the next level you can teach him to use automatic balls launching machine. First, you need to teach your dog to chase after the item you want him to fetch. You can do this in three ways. 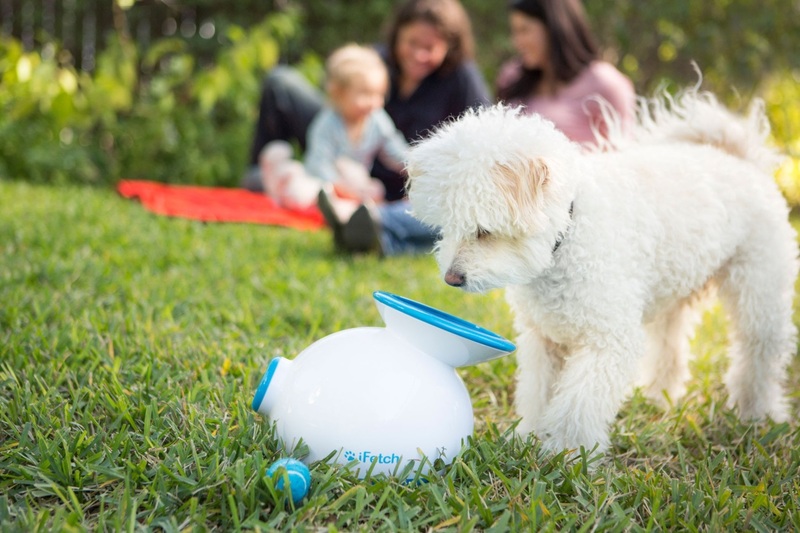 You can provide your dog treats, affection, or play for retrieving the chosen object. It’s essential to encourage him to go after the object he needs to fetch. Once he takes it, reward him with a wonderful gift. Then, take the item away. Repeat this a few times until your dog can chase the object. In order to encourage your dog to give chase more, it’s best to keep your dog back after throwing the toy. Of course, he will tug against you. Most importantly, don’t forget to offer verbal encouragement while your dog is doing this. After your dog can chase the item you give him to fetch, you need to teach him to bring it back to you. You can do many different things depending on your pet’s behavior. Once he doesn’t bring it back at all, it’s time to use a second toy. This way purposes to help your dog to get accustomed to the idea of running back to you. Many dogs are keen on catching the object as well as running off with it, you may need a help from a rope. When your dog catches the item, he surely pulls it towards you. You have to encourage your dog to follow you. If your dog can’t do that, you still should praise him. Next, toss the object again. Then, repeat all the steps above. You may have to do this for a few weeks. If your dog, unfortunately, drops the object before reaching you, don’t be angry. Instead, you should back away and ask him to bring it. When he reaches the target, there’s no reason why you don’t offer him praise. Next, toss the item again. Most importantly, your dog normally doesn’t like to chase after something if he doesn’t want it. Therefore, a great way is to experiment with different objects such as sticks, Frisbees, or balls. Then, you can determine the best one he is interested in. Not all dogs are keen on the fetching toy. There are some common problems you can see when training your dog to fetch. There is a complex chain of behaviors. In fact, some dogs are very picky about the items to fetch. That’s why you should try a variety of fetching toys. They should be from different shapes, sizes, and materials such as Frisbee, Kongs icon, dummies, dumbbell, tennis balls, and more. Another popular problem you may have to face is a tendency to want to play “keep away”. For this problem, we recommend you to try to call your dog and provide him with another toy. It’s best to make it extra appealing. If you see your dog drops the toy too early, you need to keep your dog out of sight the treats icon. By this way, you can make your dog come towards you with the toy in his mouth. You can get many benefits from learning how to train your dog to fetch. If your dog loves to fetch, we advise you to enroll him in Flyball. This is actually a popular canine sport. Your dog has the opportunity to get plenty of exercises. In addition, by training your dog to fetch, you can also get an item for you. This trick is also great for you to impress family and friends. Moreover, this way is ideal to form a stronger bond.